So here ’tis- the duly required “About Me” info. Are you ready? Of course you are! Let’s start with the basics, shall we? I am a bipedal humanoid mammalian omnivore with a high-functioning cerebral cortex. Just like you. I hope. If you are anything other than that, please let me know- I’d like to meet you in person. I think. I was born and raised in a location and went to school at places. I have seen and done things. I have had jobs and have lived in communities. I have been married, divorced and married again (got it right the second time!). I have children and grandchildren. Here’s the deal. I love to write. I always have. This is a fact that for the most part has been known only to my family. Most of my writing has consisted of poetry. Most of that has been silly poetry in home-made greeting cards and requests from my brother to write silly poems for special occasions such as “The Official Schenectady Pickle Ceremony or OSPC”. This was to honor both the wonderfulness of pickles and also the fact that my brother and fam were traveling through Schenectady. Why would that be a thing, you ask? Because we love words that sound silly and Schenectady fits the bill wonderfully well. And pickles are inherently funny. 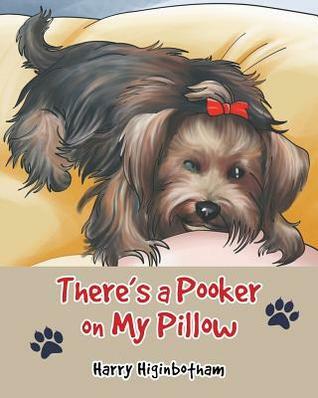 However, after the publication of my first children’s book, There’s a Pooker on My Pillow I feel it’s time to unleash the full kookoo-ness of me onto an unsuspecting world.